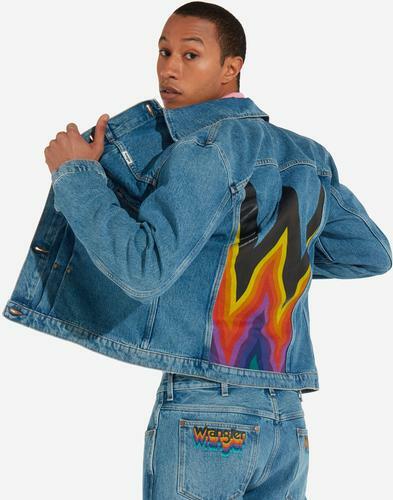 The Trucker Jacket by Levi's®. 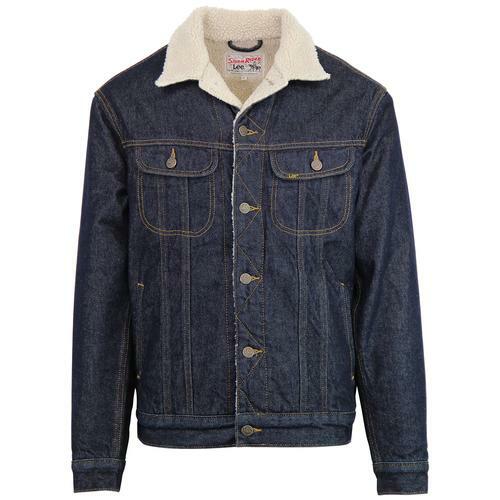 Retro Indie 70s denim trucker jacket in classic dark stonewash denim. 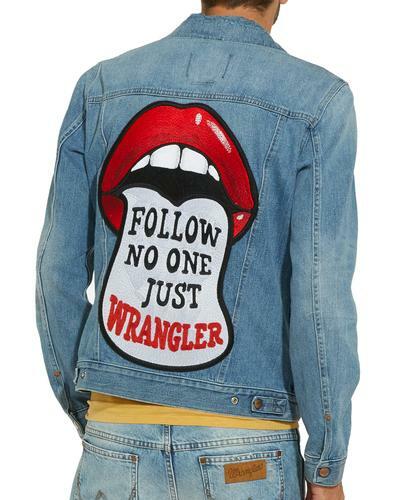 The original denim jacket since 1962, this trucker is fit for anything! It was the first jacket to feature pointed flap pockets and is iconic for contrast stitch detailing and cool rivet buttons. Over the years it has been developed and updated with a modern silhouette and practical pockets, however still keeping the classic authentic American heritage. 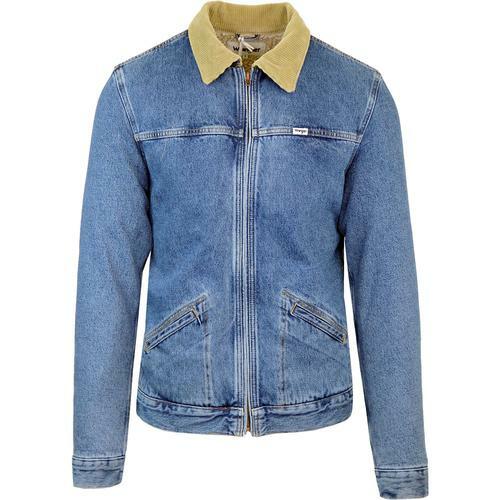 With hints of 1970s influences, this cool Retro denim jacket is a must have for your wardrobe. 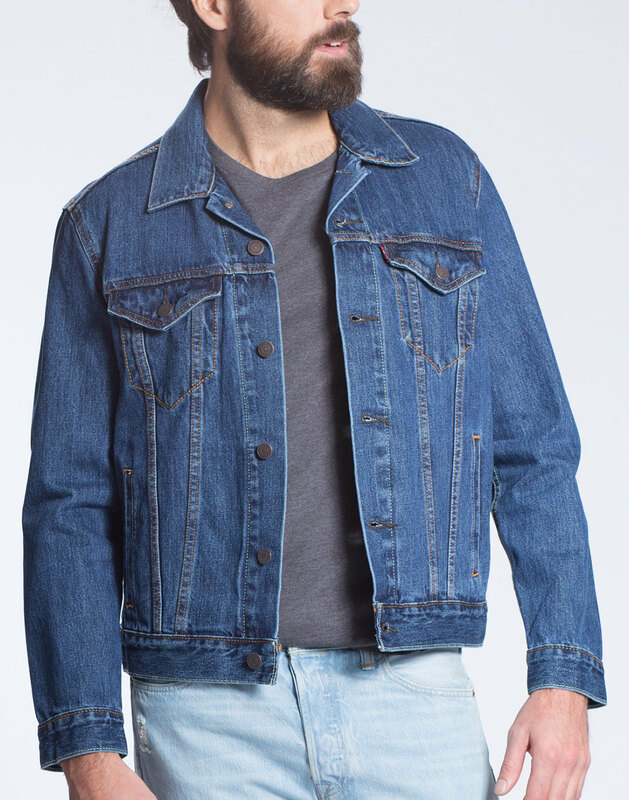 Designed for maximum mobility and comfort, the trucker jacket is Levi's® most universal denim jacket fit for men! - Levi's® original Trucker Denim Jacket in classic dark stonewash denim. - 2 side welt pockets. - Twin, button fasten chest pockets. - Authentic side tab adjusters. - Classic, universal straight cut and fit. - Red tab Levi's® branding to front pocket.